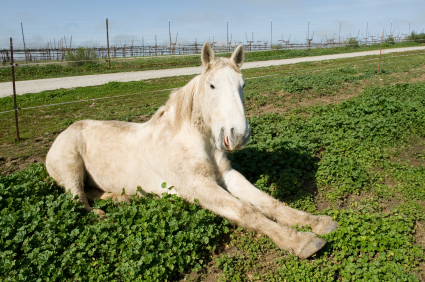 Here are a few tips to keep any stretches you do with your horse safe and effective. Have a sense of what muscles you are stretching and why before you begin. Unless the muscles across one side of a joint are initially tighter than others across the same joint, you may create an imbalance over time by only stretching one group. Apply stretches slowly! This way both you and your horse have a chance to feel when it’s time to stop before the range of motion is taken too far. If muscles are overstretched, a necessary but counter-productive guarding response occurs, or worse, a muscle or tendon may be injured. 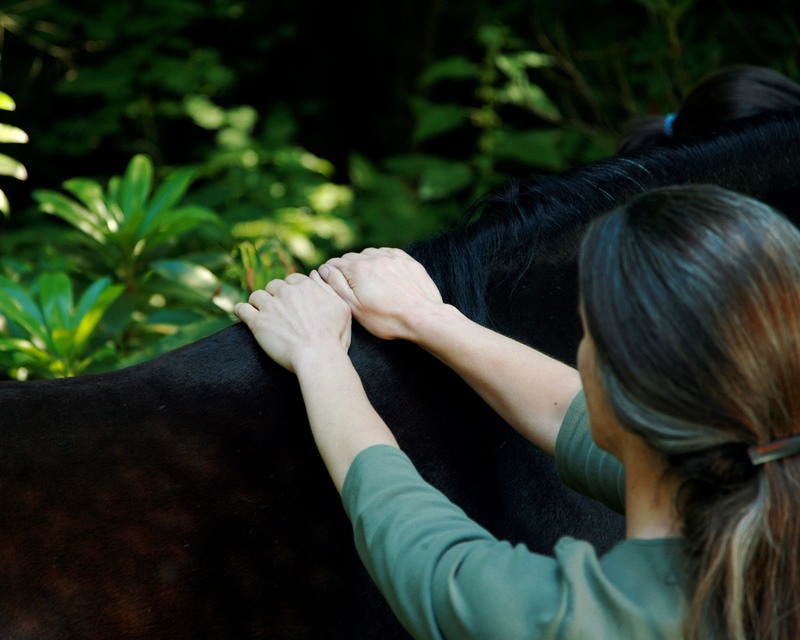 Gently jostle your horse’s leg or neck before applying any stretch. This will help muscles relax, reducing initial (and maybe unnecessary) guarding responses. Do not hold stretches for more than 1-2 seconds, but rather keep the joint moving slowly in and out of a comfortable, easy “stretch,” repeating several times rather than one long stretch. The range of motion will (usually) increase a little with each repetition, and you will avoid many potential pitfalls of the longer static stretches. The longer stretches require much more skill and experience from both you and your horse to be done well. Use either massage or exercise to warm muscles up before doing stretches. This will reduce the chances of causing a strained muscle, though even a warmed-up muscle must be stretched appropriately for safety. Research on effects of stretching routines…. Don’t assume stretching is always good for your horse! Depends on how it’s done, when it’s done, and how often, just to name a few obvious factors. (And yes, there are potential benefits to stretching, just some potential pitfalls as well.) In my book I teach a good alternative to stretching for the limbs, which is to use a combination of jostles and circles to help muscles relax and stimulate joint fluid. So here are two links, one to the research article itself (the abstract and access to more), and another link offering a good summary of the research.